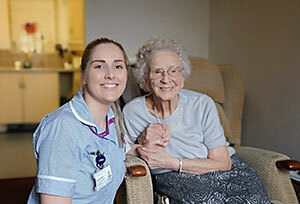 LOROS Hospice is one of five major health and social care employers behind the recently launched recruitment campaign Y/Our Future that is encouraging doctors, nurses and health and social care workers to relocate to live and work in Leicester, Leicestershire and Rutland. 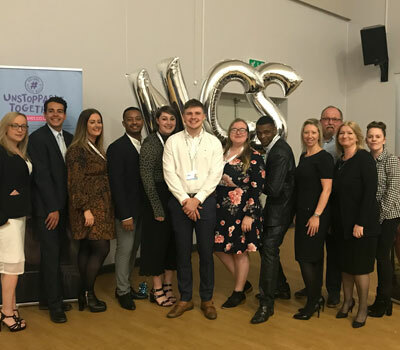 Latest figures from NHS Improvement show that 11.8% of nurse posts in England were not filled – a shortage of nearly 42,000[i]. 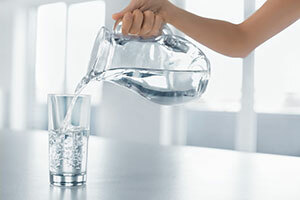 Experts described the situation as at risk of becoming a "national emergency" given the rising demands on the NHS[ii]. An NHS report last year highlighted the negative impact this is having on specialist nurses, including cancer and palliative care nurses[iii]. Hospice UK has also reported that staff shortages and increased caseloads prevent effective pain management at home for dying people. HOOVES clattered through the halls of an Ellesmere Port care home when residents were treated to an animal therapy session. Two miniature ponies, a goat and a rabbit were among the latest visitors to Aaron Court Care Home, on Princes Road. The four-legged farm animals were brought to the home by pet therapy company Doolittles Animal Therapy. 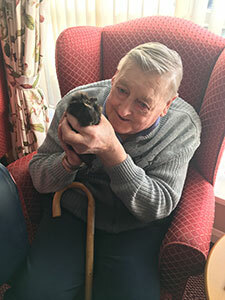 The residents were given the opportunity to stroke, cuddle and talk to the animals during the session. 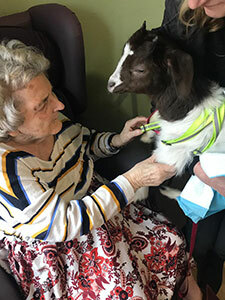 One resident, Mavis Shaw, was brought to tears upon seeing the goat and repeatedly said “thank you” to the company’s expert handlers. “Make sure you know what you want to do, and be determined to do it” – older women share their wisdom. 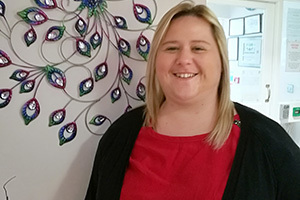 To celebrate International Women’s Day on Friday 8th March, 12 female care home residents across the UK have been sharing the advice they’d give to their younger selves. 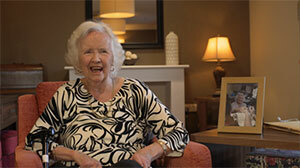 The ladies, aged between 82 and 93, also shared what they think young women today should know. The advice overwhelmingly focuses on being yourself and enjoying life to the full, with most women advising to trust yourself and strive for your dreams. Margaret Crowther, 91, said: “Make sure you know what you want to do, and be determined to do it”. The quality of care homes has worsened in the last year in more than a third of local authorities (37%) Independent Age has found. 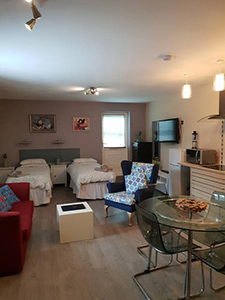 With over 2.6 million over-65s living in areas where an increasing number of care homes are rated ‘inadequate’ or ‘requires improvement’ by the Care Quality Commission (CQC) many older people and their families have no choice but to choose a poorly-performing care home. Hand crafted walking frame bags have given care home residents more freedom to get about carrying their “essentials”. 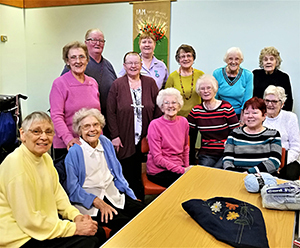 A knitting group from Thornaby Methodist Church, near Middlesbrough, created the bags for residents at Mandale House Care Home. One of those residents, Mavis Thomas, has been a member of the church and friends with the knitting group organiser, Shirley Whitfield, for over 50 years. Shirley established Chat and Craft to help members work through their grief after their husbands passed away. 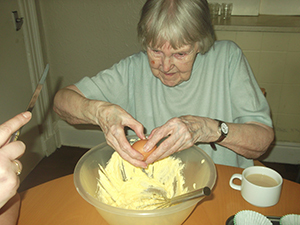 NATIONAL Carrot Cake Day has been helping Derbyshire care home residents living with dementia. 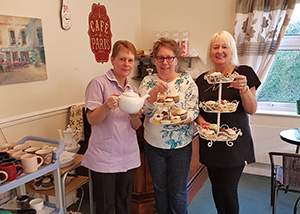 Residents at Springbank House Care Home, on Ashgate Road, in Chesterfield, have been recalling their baking skills to mark the national day. They helped make and decorate buns and cakes before they were served during afternoon tea. Using their baking skills has proven beneficial for those with dementia, according to home manager Karen Busby. FAMILIES, friends and VIPs turned out for an inaugural coffee morning at a Peterlee care home. The Town Mayor Councillor Scott Meikle, Deputy Mayor Councillor Terry Duffy and Councillor Gordon Carne were among the guests at the first Bannatyne Lodge Care Home community coffee morning. 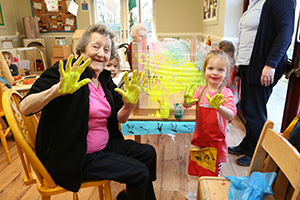 They were joined by staff, residents and visitors for hot drinks, cakes and a chat. There was also a tombola to raise money for the residents’ fund, which contributes towards activities and outings for those living at the home.